Congratulations! 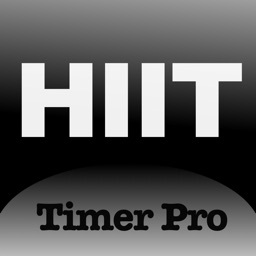 You have found the most professional and easy-to-use Tabata Timer in App Store. This is different from those with complex operation or gaudy functions. It is easy to set up all kinds of circuit training plans. You can custom moves pool, adjust theirs duration flexibly, and the dial interface is the settings page that allows you to complete most of the normal operations. WYSIWYG! 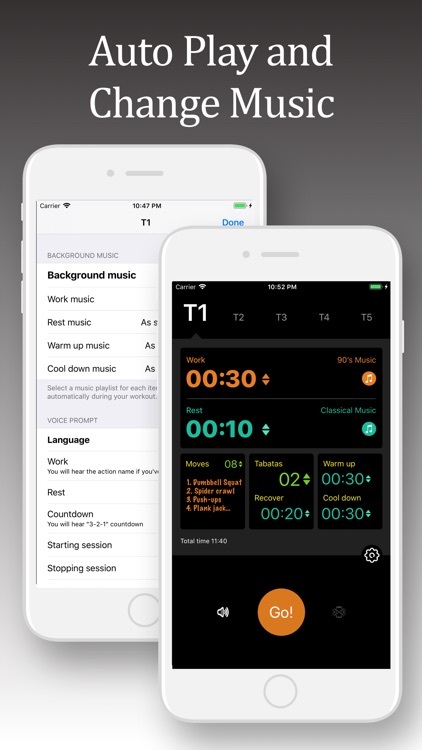 Next time you work out, maybe you’d like to try this practical voice coach fitness app! 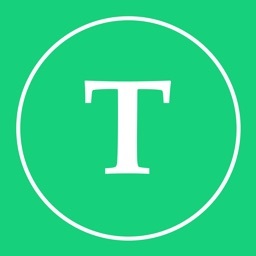 This app also has more powerful and practical functions. It includes warm-up, cold-down, recover and work out sessions, and also theirs duration can be changed flexibly. It can change the music automatically during your workout if you have suscribed the apple music service. 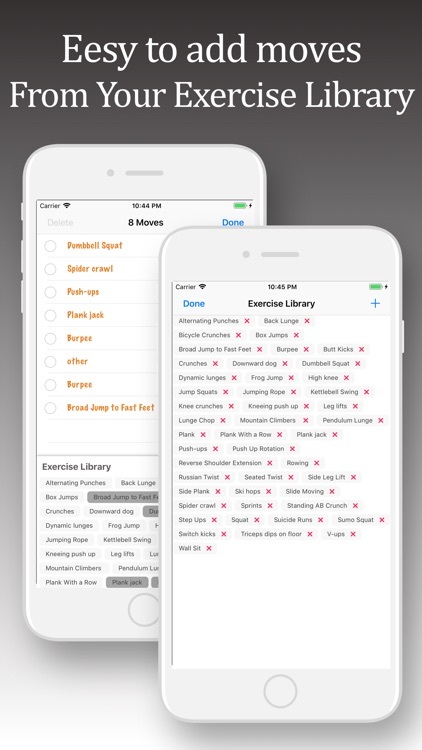 This app is suitable for personal trainers, fitness enthusiasts, body builders, athletes, home exerciser and etc. 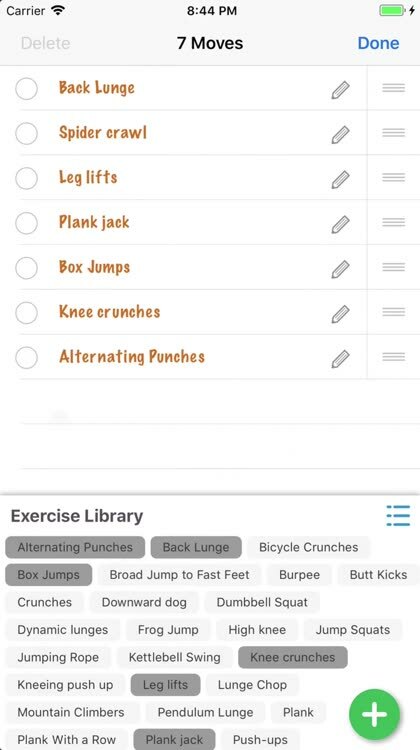 Use with Tabata workout, HIIT, weight training, kettle bells, HIIT running, sprints, HIIT treadmill, and any interval fitness training. Help to establish a scientific, systematic, based on your characteristics and personalized training program and maximize your workout are all we can do. Depends on no equipment and exercise anywhere or anytime! Hope you enjoy it. 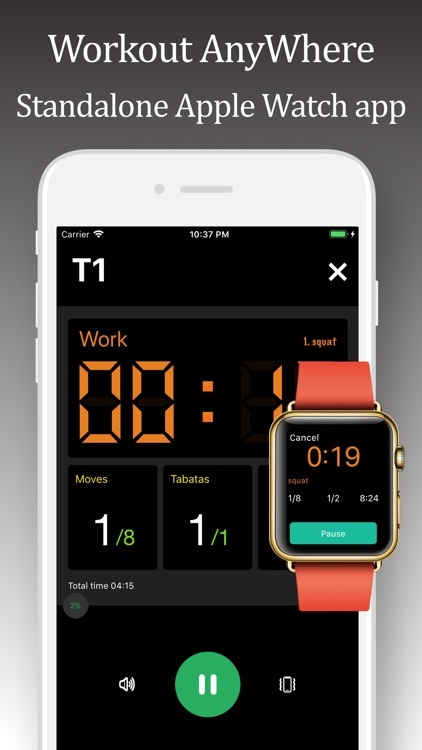 + Support Apple Watch, Standalone Apple Watch workouts. Leave your iPhone at home! 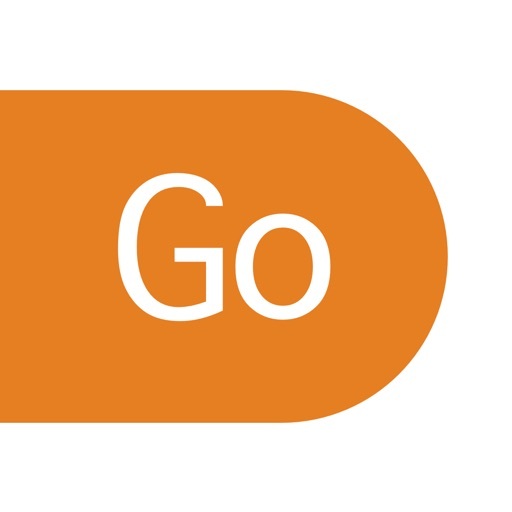 Touch what you want to change to set work time, rest time, cycles, tabata, warm up time and cooldown time. 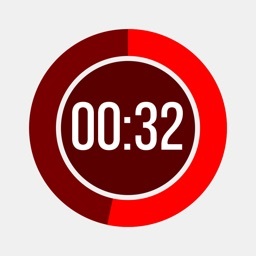 Stopwatchs can be set in 1 second increments up to 60 minutes! You can custom every single attribute like moves and its duration, and accordingly the voice system will prompts you what the next move is. 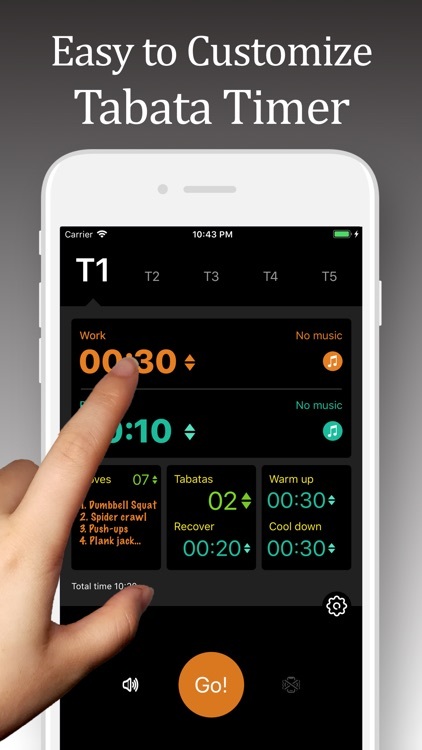 this app will alerts you when it is time to work, rest, warmup or cooldown, even when this app is running in the background. 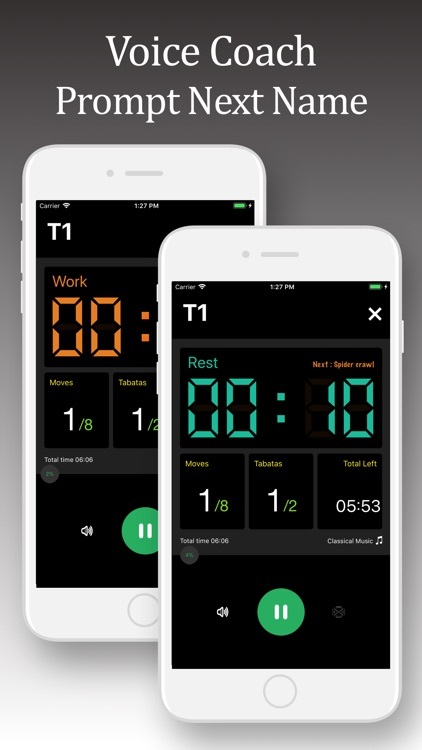 You can preset your workout names for per cycle, and this app will call out them while the timer begins working. You can turn off the voice prompts, and choose the vibration mode. 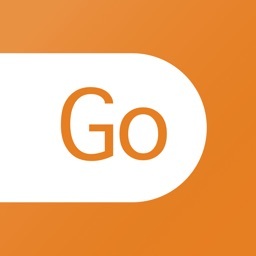 this app allows you to set different playlists for each of the work duration, rest duration, warm up duration and cooldown duration, and is easy to change the currently playing song in iPhone control center. 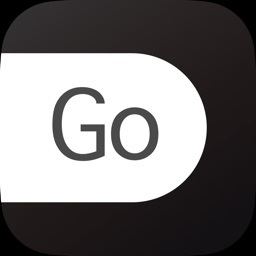 Or you can just choose any music app you like, this app supports multitasking. When the timer starts working, you can lock screen and run it in the background, and have it play voice prompts. Once your training plan ends, it won't run in the background any more, in case of more battery drain. Less battery consumption, no ads, no notifications, no GPS, no consumption cellular data.